Here in the Northern Hemisphere, the season for dreaming about spring is upon us. While the weather is still cold, and the wind bitter, the days are noticeably longer and the first stirrings of spring whisper through air and tickle the earth: The buds which will blossom beautifully come springtime are just beginning to swell, and here and there a brave snowdrop peeks out of the snow to remind us that spring really is on its way. Mother Earth is like a newly pregnant mama; She knows that life is stirring within her — but only the most observant of outsiders will notice it too. Imbolc might generally be considered to be a Pagan holiday, but anyone can celebrate the slow changing of the seasons. It is a time for cleaning out old closets and old ideas… to make room for the new. It is a time for washing windows… to let the sunshine sparkle in. And it is a time for planning… new gardens, new dreams, new plans that will grow and thrive. It is also a time for bundling up, going out, and enjoying the longer days… a walk through the woods, the fields, or the park to enjoy the first whispers of spring. And enjoying a nice, warming cup of Spiced Wine when you come back inside. Add all ingredients to a crock pot and heat on high for 2 hours, stirring once or twice. Turn crock pot to low, remove lid, and wait for juice mixture to come to below 180 degrees. Add a bottle of red wine, and allow to warm up. Enjoy while planning a spring project. Imbolc is celebrated on February 1st or on February 2nd, otherwise known as Groundhog Day! Note: This is a Real Food update of a previous Spiced Wine post. This post was FEATURED by Urban Naturale at her Healthy, Happy, Green & Natural Blog Hop and by Elise of Richly Rooted on Wellness Wednesday! And on the Weekend Whole Food Blender Party! This post was shared at the Weekend Whole Food Blender Party, Simply Natural Saturdays, and Gratitude Sunday. 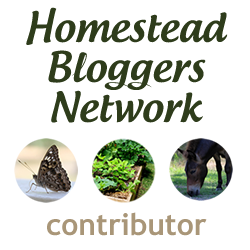 And Natural Living Monday, Mostly Homemade Mondays, Thank Goodness It’s Monday, The Homestead Barn Hop, Clever Chicks Blog Hop, and at Frugal Ways, Sustainable Days. 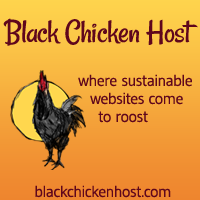 And, also, Tuesday Greens, Fat Tuesday, The Backyard Farming Connection, The Gathering Spot, and the Healthy, Happy, Green & Natural Blog Hop. And at the Down Home Blog Hop, Whimsy Wednesdays, Wildcrafting Wednesdays, Wellness Wednesdays, Fresh Food Wednesdays, and the Mountain Woman Rendezvous. And the HomeAcre Hop and Fabulously Frugal Thursdays. And on Small Footprint Friday, Fight Back Friday, Real Food Friday, and Simple Meals Friday. And Tuned-in Tuesdays, Hearth & Soul, and List it Tuesdays. And Green Thumb Thursdays. And Healing with Food Friday, Old-Fashioned Friday, and Unprocessed Fridays. And Simple Saturday. Tagged Imbolc/St.Valentine's Day/St. Patrick's Day, Mulled Wine, Spiced Wine, spring, Wine. Bookmark the permalink. This sounds delicious! And a great way to celebrate Imbolc–thanks so much for sharing! This is quite a unique recipe and sounds delicious. I love how you talk about the whispering of spring. Unfortunately where I live there isn’t any whisper of spring yet. It is 4 degrees outside and snow covered. But spring will evidently come and I am looking forward to it. Thanks for sharing. Visiting from Healthy Happy Green & Natural Blog Hop. Have a wonderful healthy day! I’m so glad you came over! It’s 2 degrees here… not a single whisper of spring. Imbolc is technically February 1st or 2nd, so we have almost two weeks… and hopefully by then we will at least have a hint! Sounds like a great treat to pull together while we sit here dreaming of spring in the subzero temps! Thanks for sharing! Spiced wine on a cold day: yes, please! Well, I am pretty secular gal, but I love holidays. I am going to start celebrating Imbolc because it sounds lovely. We can never celebrate life, nature and all our blessing, too much; can we? Thanks for the yummy recipe! Oh! A woman after my own heart! More spiced wine = a good thing by me! For sure! OMG, that sounds amazing! We are heading into Autumn here in Australia, and this sounds like the perfect celebration drink. The growing season starts in a month (and lasts until Christmas), and I am heavily in planning mode for this year’s veggie patch. Bring on the spiced wine! But I will be checking out everyone else’s posts for sure! Oh you are speaking my language with these red wine posts! 🙂 Random, have you ever noticed that warm alcohol seems more potent than cold? I had a crazy experience with warm Sake once. I promise I think it hit me twice as hard because I was inhaling the alcohol while I savored drinking it! I haven’t had much warm wine otherwise, but I’m careful now! haha! Thanks for linking up to Wellness Wednesday! This looks SO good! I want to have a party and make it! And I have never hear of Imbolc–how interesting! This sounds like a perfect drink to enjoy on a cold winters nights while dreaming of spring! Thank you for sharing on the HomeAcre Hop! Ah, the beverage of Saxon kings! Thanks for linking up to Green Thumb Thursday and we hope you come again this week! It *has* to rub off on me eventually–right? This sounds purrrfect for Imbolic , silly question how does it taste room temp or cold? I’m not really sure how it would taste cold… though I imagine it would still be good. I did have some that had cooled to room temperature… and it was okay, but it was definitely better warm.